Though completely coincidental, this issue has a strong theme of food systems policy and practice. If we'd actually formally announced a special topic call on this subject, I don't think we would have gotten a better set of submissions! 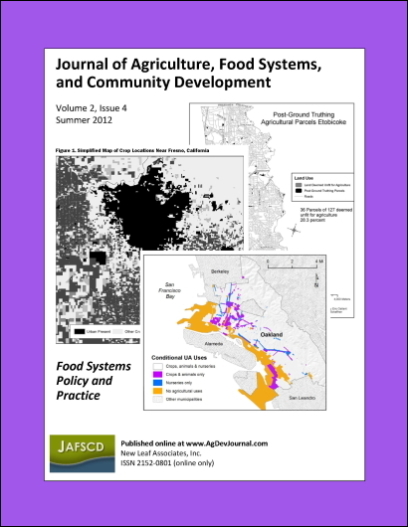 In this issue we offer a collection of papers that provide both depth and breadth across a wide range of issues related to food system policy and practice: land use, farm viability, food assistance, urban agriculture, public engagement, and others. Duncan Hilchey is publisher and editor in chief of JAFSCD.